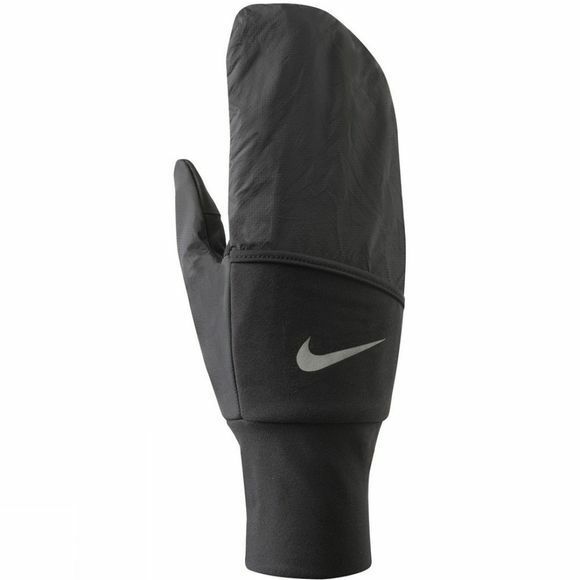 These unique Nike Vapor Mitten can be worn as a traditional glove or mitten. They feature Thermal fabric to resist heat loss to help keep you warm and insulated, Keeping cold air out and warm air in without the extra bulk. 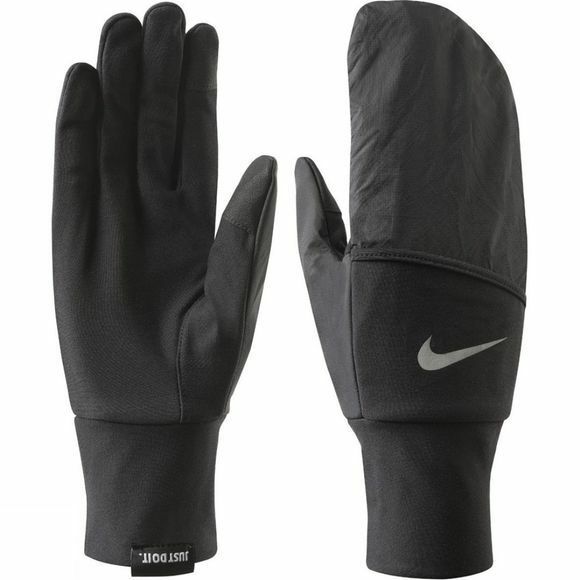 Water resistant windshell and top of thumb to repel wind and water so you stay dry and comfortable, the windshell tucks away on back of hand, the conductive thumb and forefinger tips provide touch screen compatibility in glove mode, Reflective Swoosh logo for enhanced visibility in low light conditions.